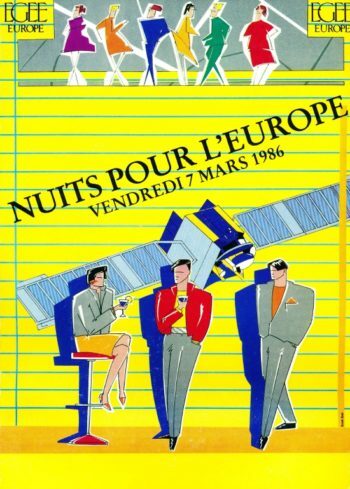 It was one of the most legendary and ambitious events in AEGEE ever: the Night of the Seven Antennae on 7th of March 1986 – or, as it was called, the “Nights for Europe”. 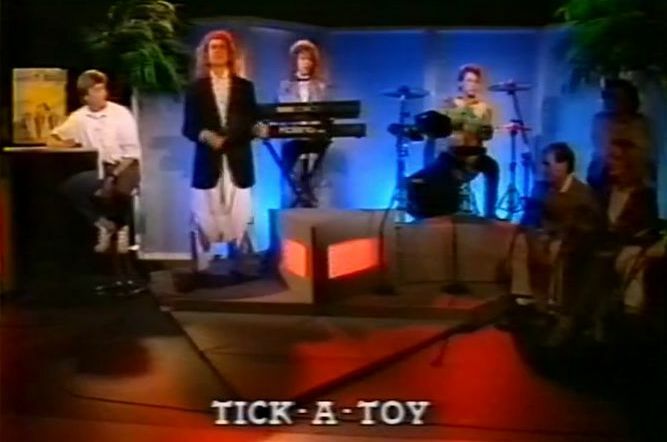 Connected by a satellite link, seven antennae made their own Eurovision show with interviews, music performances and high profile guests from politics. Philippe Micaelli, vice president of AEGEE-Europe, co-ordinated the magnificent event. This interview appeared first in AEGEE’s 20th Anniversary book in 2005. Gunnar Erth asked Philippe the questions. Who had the idea for the event? Philippe: After the first congress in Paris we wanted to organise another big event which would also be special. During a Comité Directeur session I explained that we could use the latest state-of-the-art in video communication by satellite, we could be the first student association to organise a live satellite multicast streaming video between seven antennae. The Comité Directeur was very enthusiastic. What was the programme of the events? 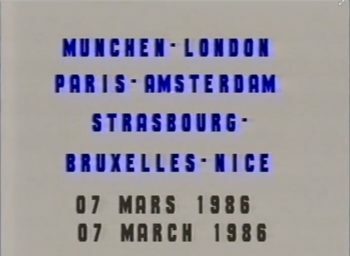 The programme in each city had the same guideline: fun with a European political message, entertainment and guests known for their European involvement. We had singers such as Tick-A-Toy, Diane Tell and Alain Souchon, a fashion show, 3D video movies, and some artists gave a live performance. Concerning speakers we had for example two European Commissioners: Manuel Marin, in charge of education, and CT Davis, in charge of transport. Bavaria’s prime minister Edmund Stoiber participated as well as Michel Jobert, a former French Minister, Pierre Pflimlin, President of European Parliament and Gaetano Adinolfi from the Council of Europe. Until now this event stays unique because no other students’ organisation was ever able to stage such a trans-European video live by satellite. How did you organise the event? I was able to find with ease a project leader in each city. Together with Franck Biancheri, who was in charge of the political dimension of the show, I made the coordination at the European level, and each city had the liberty to manage the content themselves. I organised this event essentially through phone and telex. The core team was composed by Ricktus Osterhuis in Amsterdam, Elena Drutskoi in Brussels, Andrew Oldland in London, Béatrice Anacker in Munich, Guillaume Petruski in Nice, Stéphanie Paix in Paris and Frédéric Rossi in Strasbourg. Making this video link happen was a very hard task, I was really stressed during those four months. We had a very short time, a low level of financing but big ambition. How did you manage to arrange the satellite link? I was not an engineer and I did not know anything about live video transmission and how to produce such an event. But from my point of view, if an idea is good the technical aspects can be solved. In fact I was executive producer, engineer, financial director, negotiator, fund-raiser, speaker and post-producer all at the same time! During the four hours broadcast we did not have any technical or organisational problems. We got the full support of the Belgian, Dutch, English, French and German ministries of telecommunication, and of different professional broadcast companies. The uplinks and downlinks from Eutelsat were managed by the French Délégation Générale des Télécommunications and TéléDiffusion de France. 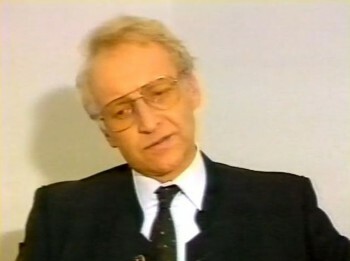 Franck Biancheri had to lobby very hard at the French government, especially Mitterand’s advisers, to obtain that the French authorities accept to pay up to 50 percent of the whole operation. Bavaria’s state-secretary Edmund Stoiber gave an interview for the event. How many people saw the transmission? The number depended of the size of the chosen place in each city. For instance, in Paris we rented Bercy, a huge place where concerts or car races are organised. 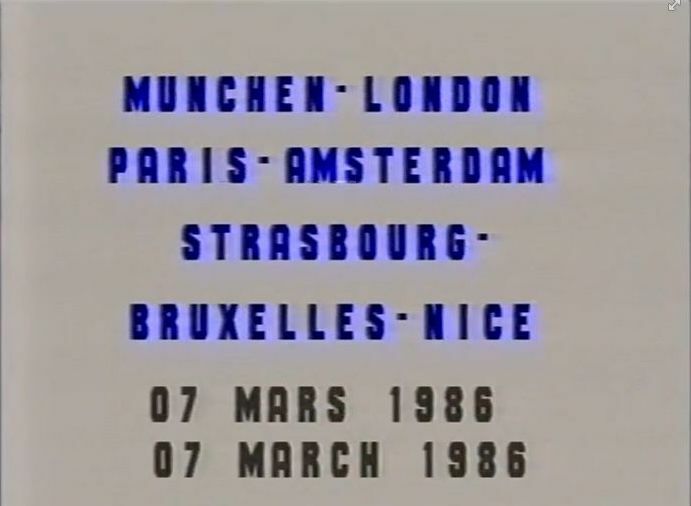 In London it was inside the Kings College, in Brussels it was a big place named Plan K. At least 10.000 people saw and participated in this first multicast video transmission by satellite through seven towns in Europe. What were the main results and the impact of the event? Externally it established AEGEE-Europe, this very young student association, as a real partner for institutions and companies. Internally it was the proof that if we want something to happen that seems impossible, it could still be successful due to our energy, coherence and investment in working for the same goal. The EU Commission paid for 200 copies of the ten minutes summary of the show that I made in the following weeks. These tapes allowed AEGEE-Europe members to show the video all around EC universities to thousands of students. This was a major factor boosting AEGEE’s development. How big was the budget. Is it true that AEGEE-Bruxelles went bankrupt because of it? The total budget was around 600.000 euros. AEGEE-Bruxelles was aware that if they could not get into the show, then the whole event would become impossible, as the Belgian Telecom was part of the connection bringing the images from and to Amsterdam as well – on this part, the link was made through ground connections. If they had stayed away, Amsterdam would have been obliged to cancel as well. All of us hoped to find solutions but in the end we could not and AEGEE-Bruxelles preferred to shut down rather than keep on trying to find the money. Do you see potential for events of this kind? Yes I do. I think that this kind of event could be done again but in a different way, with more interactivity and more numerous places. With Internet, good webcams, big screens and high broadband it could be fun to organise a common video streaming on the same day where people could pick up what they want to see or what they wanted to send through a website that was functioning as a hub. It would be not difficult to organise. 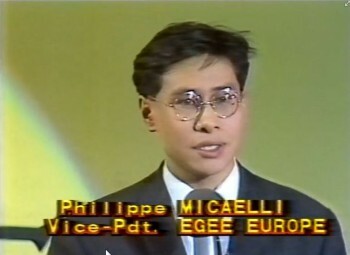 Philippe Micaelli was an AEGEE member in the first hour. “In 1985 I met Franck Biancheri, I decided to join the team a few weeks before the first EGEE congress. I am proud to be one of the pre-EGEE I anciens,” he remembers. “I was convinced that Europe was the only way to be an equal partner versus the USSR, USA or Asia”. Philippe is proud that AEGEE-Europe students “never accepted to play the game of the EU institutions in order to get a job into the system”. Instead, they moved the institutions into the direction of their own vision of Europe’s future. After ten years as trader in the financial market, the former Econometrics student founded several companies. Philippe: “The last one that I have launched has developed an innovative software system where the confidentiality of any type of electronic files is guaranteed with a secured sharing access over Internet”.